Baptist Care Australia executive director Marcia Balzer makes the case for an independent umpire to set income support payments and stop them being used as a political tool. How much is enough? If you’re a carer, single parent, age pensioner or unemployed, income support payments are there to keep you out of poverty. But who decides how much is enough? Australian governments have been using the rates of income support payments for political purposes for a long time. Back in 1908, income support for older people and those with disabilities was introduced, but only if the government decided you were “of good character”. The language has changed since then, but the rate of income support payments remains a political football. It’s long past time for an independent umpire. We need a bipartisan, consistent and impartial approach to setting income support payments. These payments need to relate to the cost of living, not political considerations. They need to pay for the basics, and provide for the needs of children. People on income support also need to be able to participate in their communities, and have enough resources to look for work. Most Australians agree. When Anglicare Australia surveyed a sample of Australians in 2013, the majority (61 per cent) thought an independent body should make these decisions rather than the government. This majority was similar regardless of gender, age, household income or which party the person voted for at the last federal election. The same survey revealed that most Australians think that income support should be related to the cost of living (67 per cent). This was a more important consideration than the average wage, the federal government’s budget requirements, or setting payments at a bare minimum. The current low levels of payments for age and disability pensioners, the unemployed, parents, carers and those who are sick, contribute significantly to poverty in Australia. Fifty-five per cent of people on Newstart Allowance live below the poverty line, as do 14 per cent of people on the Age Pension. Last year, the Social Policy Research Centre published an exhaustive report on what it costs to live a basic, healthy life in Australia. It determined that households reliant on Newstart Allowance fell between $47 and $126 per week below what was needed for the bare basics. The biggest shortfall was experienced by a family of an unemployed couple with two children. This is bad news for the next generation because we know that child poverty has lasting effects on people throughout their lives. Baptist Care Australia believes it’s time for an independent commission to set all our income support payments. Such a process already exists with the Fair Work Commission’s Expert Panel setting minimum wages. Similarly, the Commonwealth Remuneration Tribunal sets standards relating to the salaries and benefits paid to federal politicians. An independent commission would regularly review what it costs to live a basic life for different people in different locations around the country. It would call for submissions and make decisions about the right levels of income to care for children, and provide a healthy life for people receiving income support. The commission would make decisions with clear evidence and public accountability. The goal is to ensure that payments are sufficient to provide for people’s basic needs, and are balanced with providing incentives to return to work where that’s possible. This is not a new idea. A Social Policy Research Centre 2017 report made this one of its key recommendations. Catholic Social Services Australia has recommended it since 2008. The Australian Council of Social Service has also called for an independent commission. Even the Henry Tax Review in 2010 recommended a system of regularly and impartially reviewing the level of Newstart Allowance. Sadly, entrenched poverty remains a stark reality in Australia, one of the wealthiest societies on earth. In fact, for children it’s getting worse. The percentage of children in poverty increased by 2 per cent between 2003-2004 and 2013-14, and now approximately 730,000 Australians under the age of 15 live in poverty. These are not just numbers. We know that poverty has serious impacts on the health, education and long term prospects of children. There are both economic and social impacts on the nation to child poverty. Taking action early will bring a tangible return on the investment. It’s long past time for political wrangling over income support payments to end. Giving responsibility for deciding payment levels to an independent commission is an important first step. Our community and our economy will both be stronger for it. 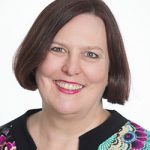 About the author: Marcia Balzer is executive director of Baptist Care Australia where she advocates for Baptist community service organisations and their clients in the national policy debate. She is passionate about better social policy for issues such as aged care, domestic violence, housing and homelessness. Marcia Balzer is executive director of Baptist Care Australia. Having dealt with the “system” in the past I feel I can make a few comments here. The new start payment is too low and forces you to make choices that you’d rather not have to. But whilst you have the entrenched notion if deserving and undeserving poor this will never change. Even the pension unless you own your own home is very difficult to survive on from what I have seen. The whole system needs a root and branch overhaul that removes politics from it. The recent “reforms” the government pushed through included removing backpay and intent to claim provisions from these payments. I’m sure if a person has no income for 4 to 6 weeks that will give them an enormous incentive to magically find a job now won’t it! Hopefully claim processing times won’t form part of Centrelinkd kpis anytime soon! It’s time for a universal basic income.